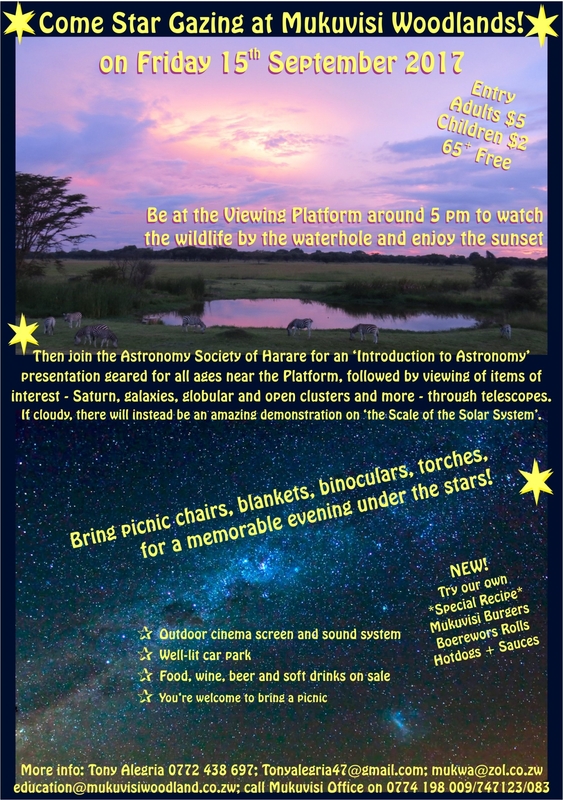 Then join the Astronomy Society of Harare for the 'Introduction to Astronomy' presentstion geared for all ages near the Platform followed by viewing of items of interest, Saturn, galaxies, globular an open cluster and more through telescope. If cloudy there will be an amazing demostration on the scale of the Solar System. Bring picnic chairs, blankets, binoculars, torches for a memorable evening under the stars.